The procedure mainly used for the CVP-continuous central venous pressure monitoring and for purpose of the fluid management, drug therapy etc. 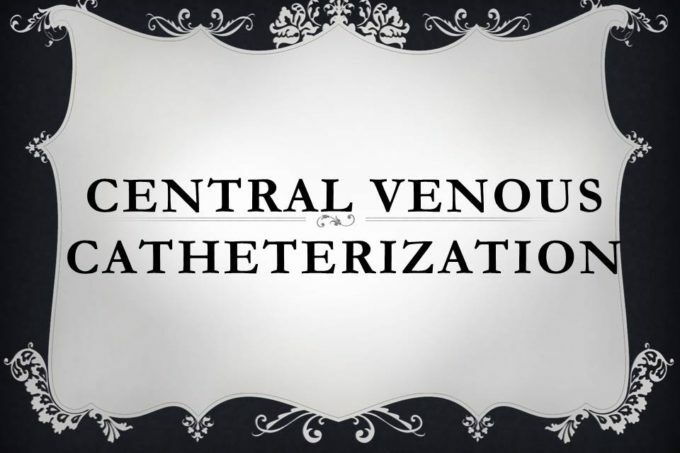 central venous catheter is placed either in the internal jugular vein or subclavian vein, femoral vein, axillary vein. Sterile solution for the skin preparation and alcohol-based disinfectant. The site chosen for insertion would depend on the clinical situation. Although subclavian lines are superior in terms of incidence of catheter-related bloodstream infections, in an unstable patient, it is preferable to use the internal jugular vein because of the higher probability of serious complications with the subclavian route. If there is a likelihood of severe coagulopathy or very low platelet count, (before these parameters are known) the femoral site may be used. Central line insertion is very rarely done as an emergency procedure – if you need to use inotrope/vasopressor for support of blood pressure, it is OK to use a peripheral IV line. Use strictly aseptic precaution & techniques for the CVP.